Sounds like a great read! My kinda crazy book. Wow, I guess the good ole days were maybe not so good! I’m reading the end pages now that lay out the stats regarding population, economics, mental health, infectious diseases, etc., and it was really so brutal at that point in time. And to be buried alive after all that? Unbelievably tragic. I’m going to cleanse my emotional palate by reading something light and fluffy. I’ve never believed that the good old days were so good–but on the other hand, newspapers have always reported the worst, most extreme news. 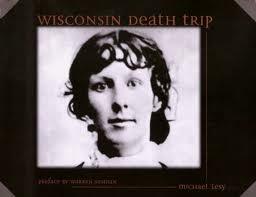 WISCONSIN DEATH TRIP is a heckuva title, though. I’m with you on the myth of the “good old days,” but don’t think this is a case of the newspapers reporting the worst, most extreme news. This is a case of horrifyingly sad stuff getting reported in a matter-of-fact manner. That’s what really blows my mind about all this; those situations and conditions were the facts of life back then. Over and over again.